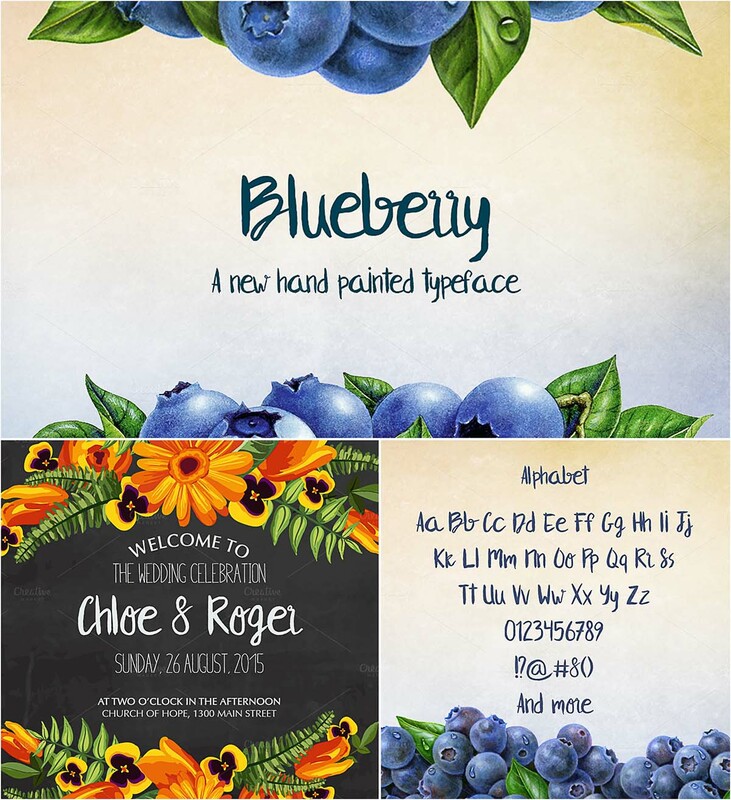 Introducing new hand written font- Blueberry. Perfect for postcards, logotypes, quotes etc. Tags: blueberry, brush, lettering, script, typeface, wedding.